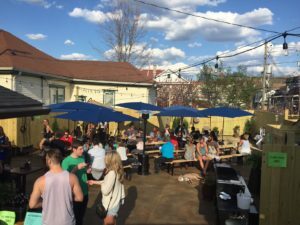 Big Woods® Bloomington is nestled in the heart of Bloomington’s dining and entertainment district, welcoming guests to indoor table and bar seating, outdoor deck tables, and a seasonal beer garden and garden bar. We currently offer the full Big Woods brew pub menu, monthly feature menus, 24 taps with a broad craft beer and cider selection anchored by locally-made Quaff ON! Brewing Co., ales, and a full spirits and cocktail menu largely featuring the work Brown County’s Hard Truth Distilling Co. 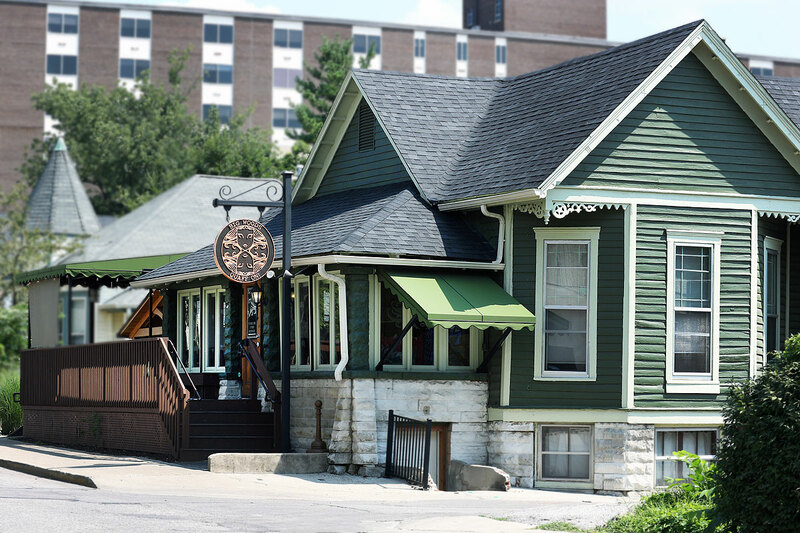 The third restaurant to join the Big Woods family, Big Woods Bloomington still has flashes of its original name — Quaff ON! Bloomington — appear every now and then. Drop by and get to know our fantastic Big Woods Bloomington team, grab a beer and some tasty food, and keep an eye out for Dale the (Beer)Garden Gnome!